Powerful, powerful day today. Varied, heart-tearing, inspirational, encouraging, marvelling, wondering, listening, learning and much more….. The day started with a visit to a penitentiary. Built for 1,000, it now houses 4,500 people. No photos and no words to describe what we walked through to get to an incredibly amazing section, securely housed within the large complex, where 600 inmates – who are committed to changing themselves – are accepted into an incredible program run by ONE congregation! Truly an extremely moving experience which will stay with us for a long time. 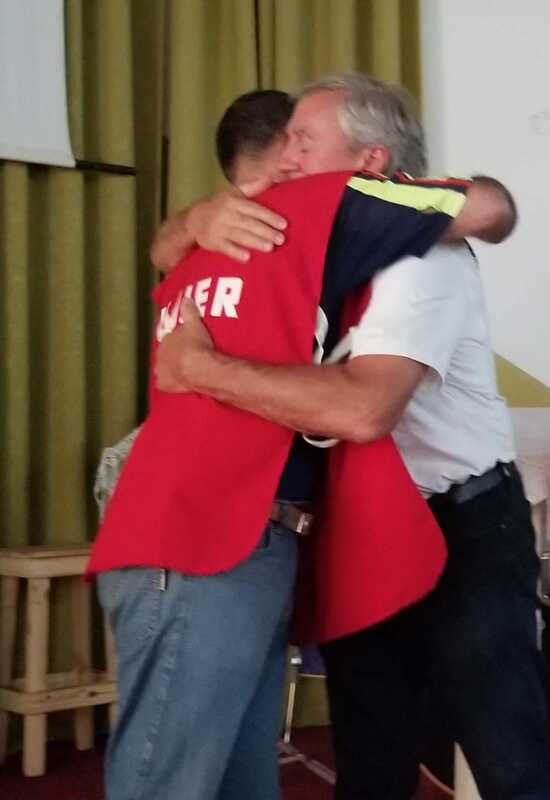 The photos I share are meant to remind me just a wee bit of the holy and sacred and moving-to-tears moment I felt when two of our companions (inmates/ushers/protectors) served us cold water close to the end of our time there. Talk about being served “holy communion”…!